Daily Gentle Cleanse - Proper digestive function is the foundation from which all other elements of health derive. This gentle formula combines a traditional Ayurvedic digestive blend with Western botanicals to soothe, cleanse and promote healthy digestive flow. This special non-laxative formulation enhances digestion and supports liver function. 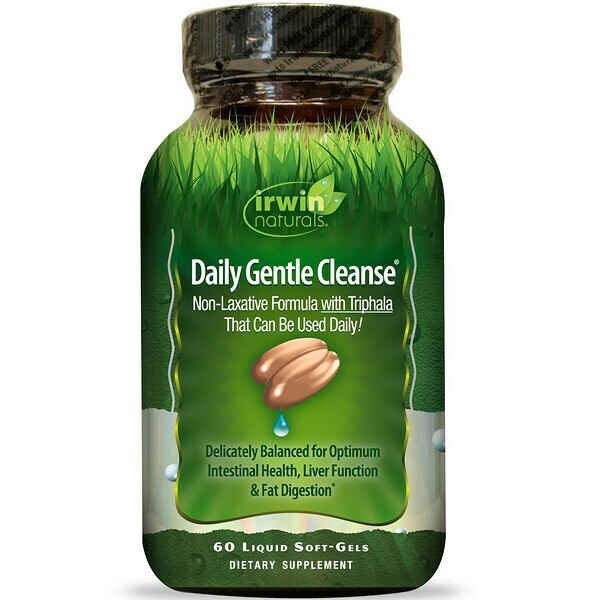 Use daily to maintain results after a cleanse or for overall digestive support. Support Movement & Function: Triphala is a blend of three Ayurvedic fruits that is traditionally used to stimulate flow and support the body's natural cleansing process. Soothe Intestinal Lining: Ginger and Marshmallow help to soothe the digestive tract. Liver and Bile Function: Milk Thistle supports liver function and helps to relieve occasional indigestion. This comprehensive formula includes healthy levels of Omega-3 Fatty Acids from Fish Oil. The ingredients in this product deliver nutritional support for your overall digestive health.